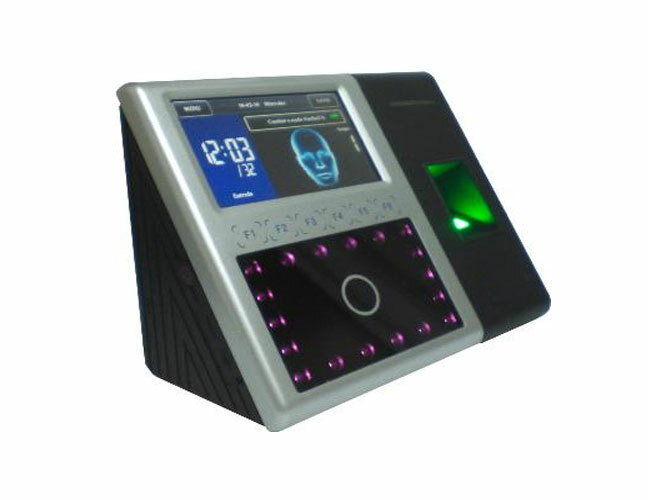 iFace 302 multi-biometric identification time attendance product adopts Smart-Supplier latest ZEM600 platform with Smart-Supplier Face 5.0 algorithm and large capacity memory. iFace series integrated 630MHz high speed Smart-Supplier Multi-Bio processorand high definition infrared camera which enables user identification in the dark environment. The appearances of iFace series are designed by Germany professional design company according to the view of human engineering. All operations of iFace device are designed to be finished on the 4.3 inches TFT touch screen. Multi-model communications includes RS232/485, TCP/IP, optional WiFior GPRS. Optional built-in 2000 mAh battery eliminatesthe trouble of power-cut . Integration of Facial, RFID, and Password identification methods. Elegant design according to the view of human engineering 4.3'' TFT touch screen, easy operation, fashionable and simple interface. 6 user-defined function keys. Simple access control function reduces extra door control equipments cost for users. Webserver management software via IE browser. Extendable scheduled-bell. Infrared optical system enables user identification in dark environment. Optional built-in backup battery support extra 4 hours continuous operation if power cut. Optional built-in wireless WiFi or GPRS communication makes easier device installation without wiring.